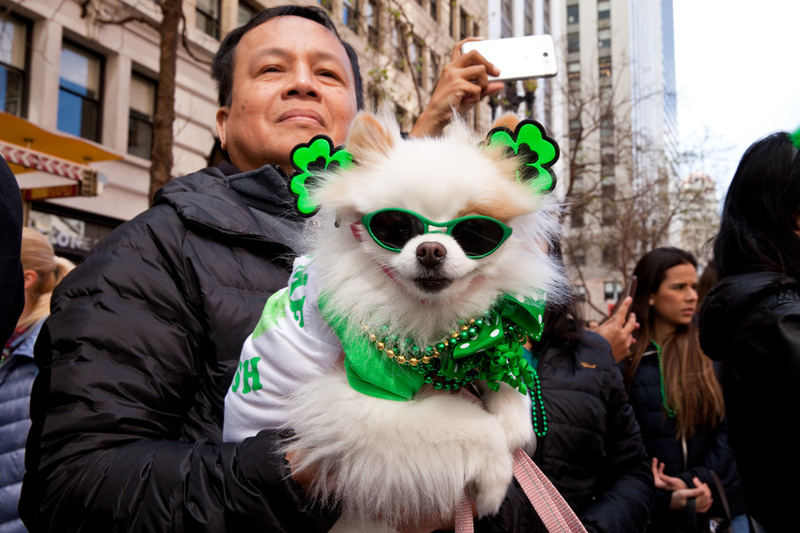 After a night of heavy rain, the sun came out yesterday for San Francisco's 167th St. Patrick's Day parade and festival. 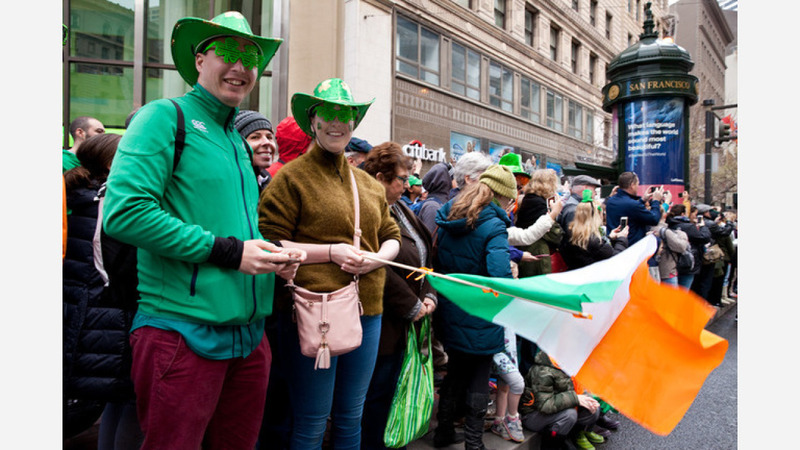 According to organizers, it's the largest event of its kind west of the Mississippi that honors Irish-American culture and history. 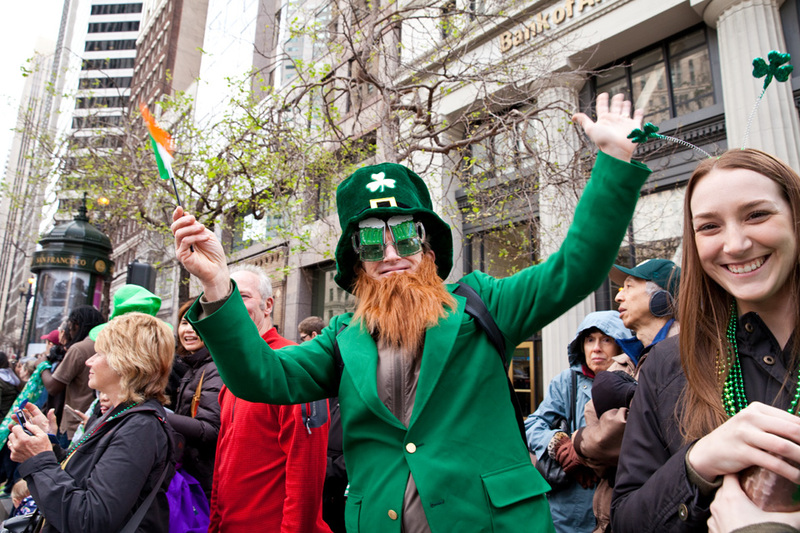 The procession included floats, dance troupes, marching bands, unions, along with police and fire fighters. 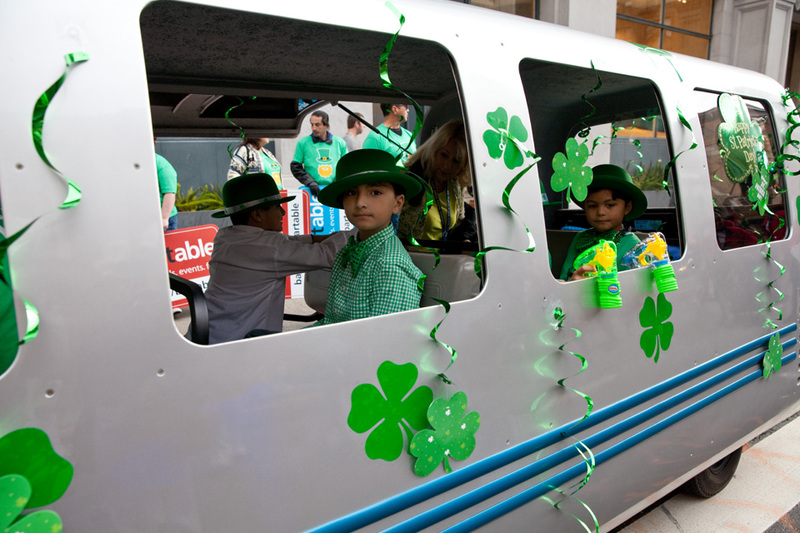 More than 5,000 participants from all over the country made their way from Market and Second Streets to Civic Center Plaza. 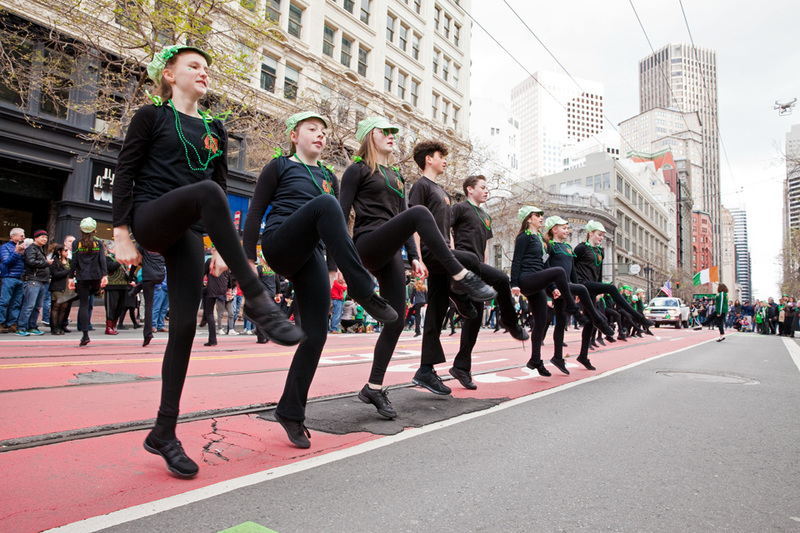 Students fom Whelan Academy of Irish Dance performed. 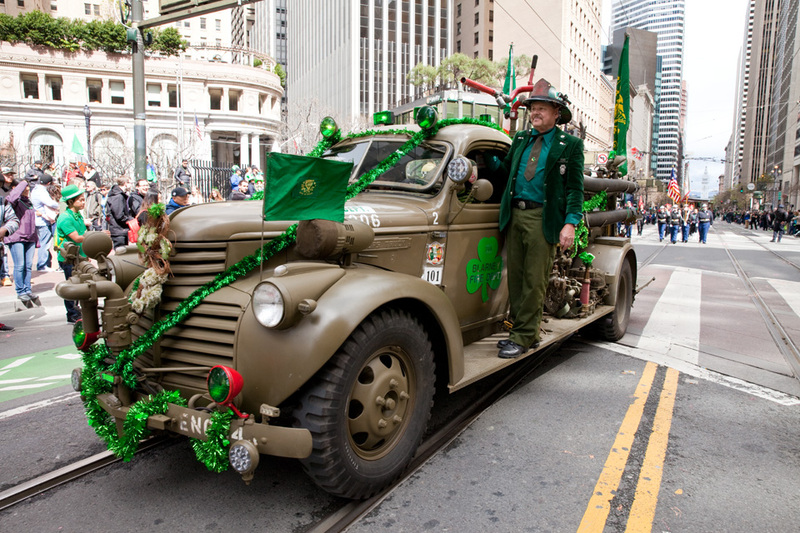 This year's Grand Marshal was William John Welch, named Irishman of the Year by the Hibernian Newman Club in 1983. 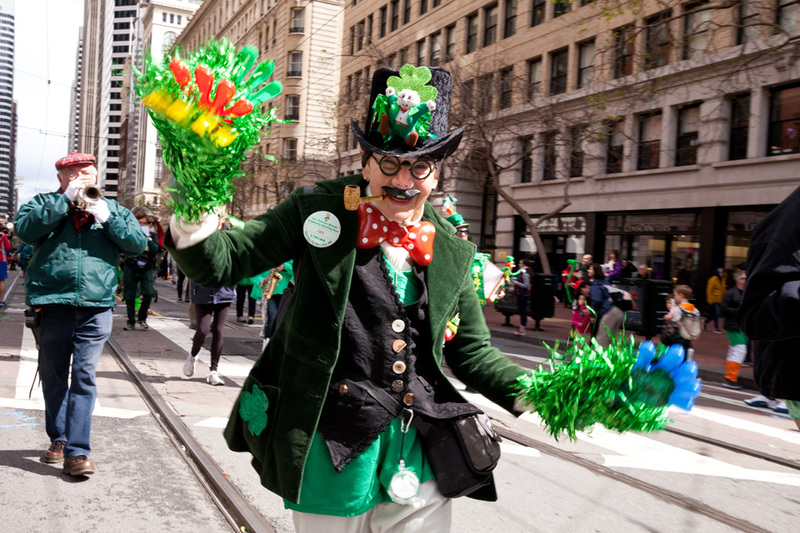 His grandfather, William Duggan, opened Duggan's Funeral Service in San Francisco in 1918. 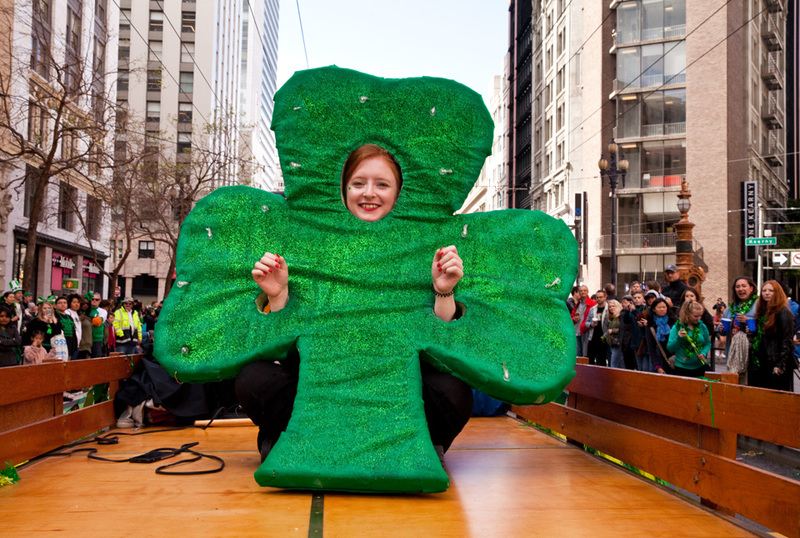 Also in attendance: Heather Humphreys, Ireland's Minister for Business, Enterprise and Innovation. 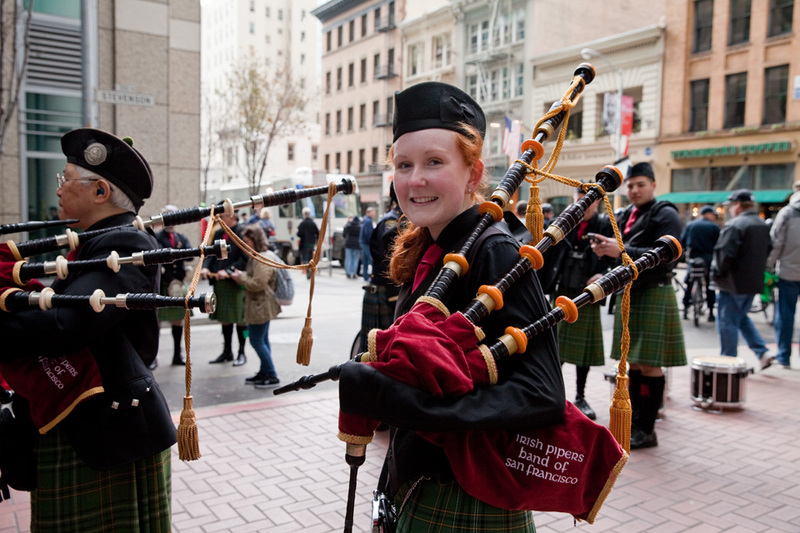 Here are more scenes from the day's celebrations, which were organized by The United Irish Societies of San Francisco, Inc.
A member of Irish Pipers Band of San Francisco. 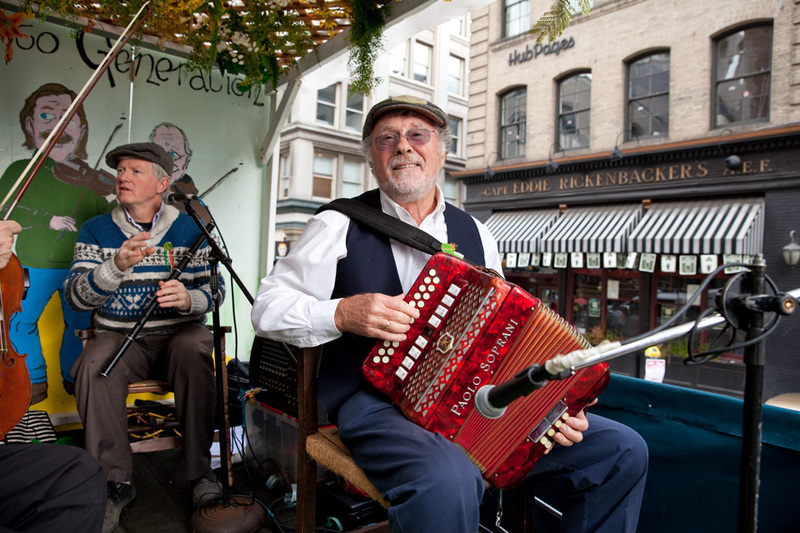 Alan Paterson plays the button accordion on the Comhaltas Ceoltoiri Eireann float. 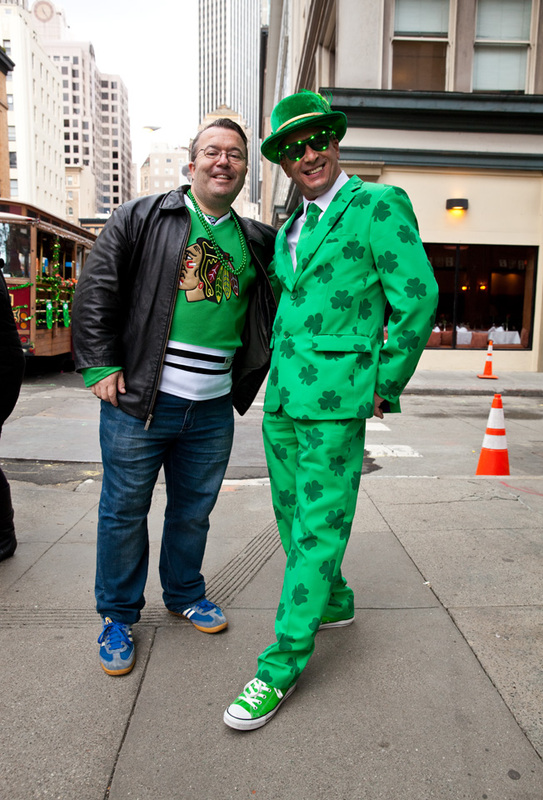 Attendees Owen and Steve Leahy. 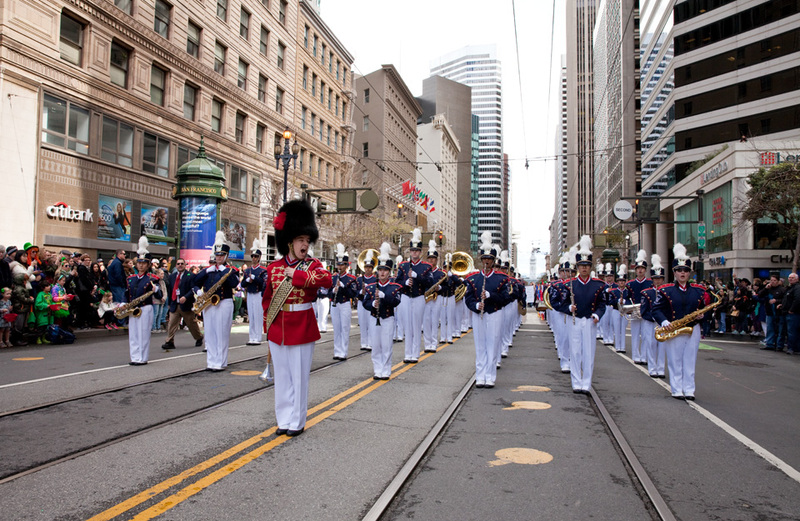 Members of the Beckman High School marching band from Irvine, CA get ready to perform. 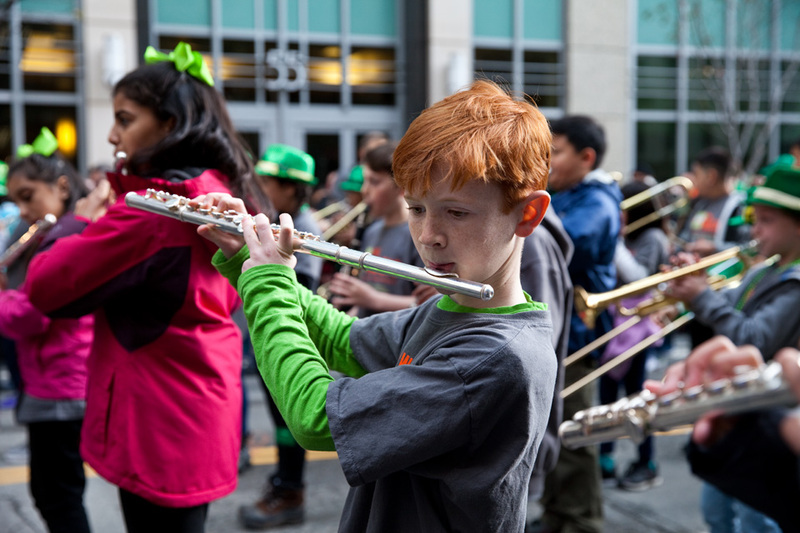 Students from the Catholic Schools Marching Band practice before the parade. 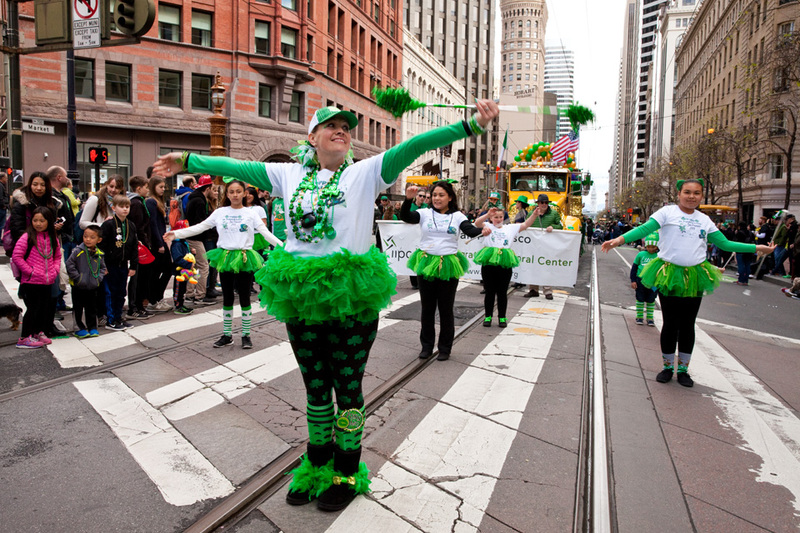 Members of the Redwood City Twirlers. 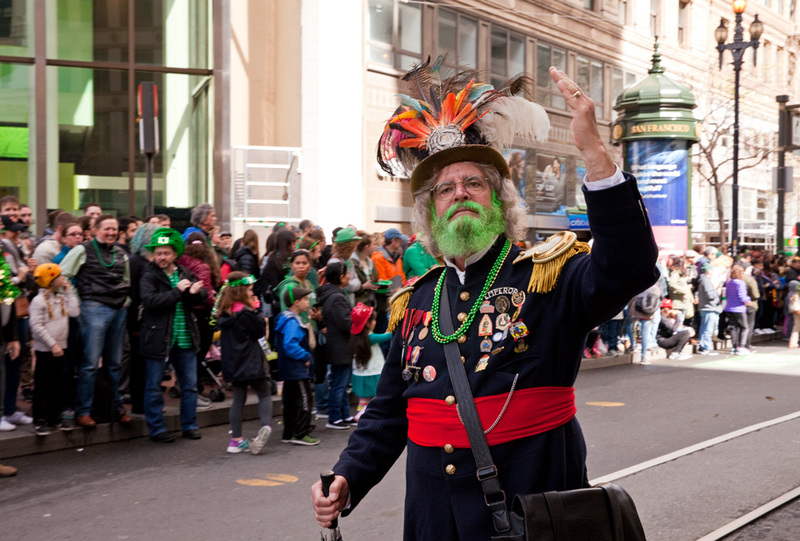 "Emperor Norton" makes an appearance in the parade. 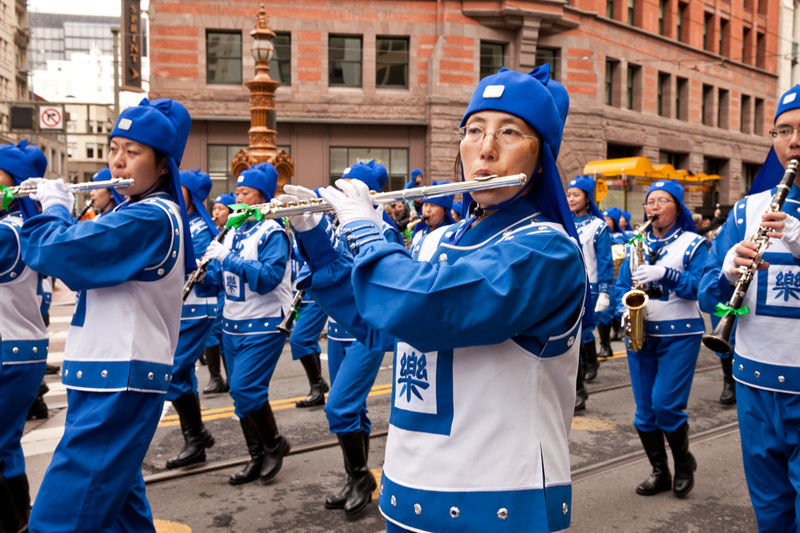 Members of the Falun Dafa band. 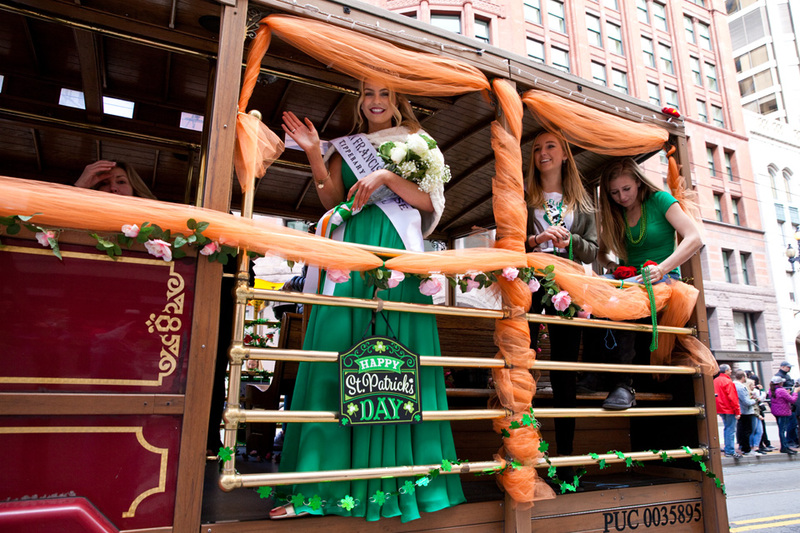 San Francisco Rose of Tralee, Annie Powers. 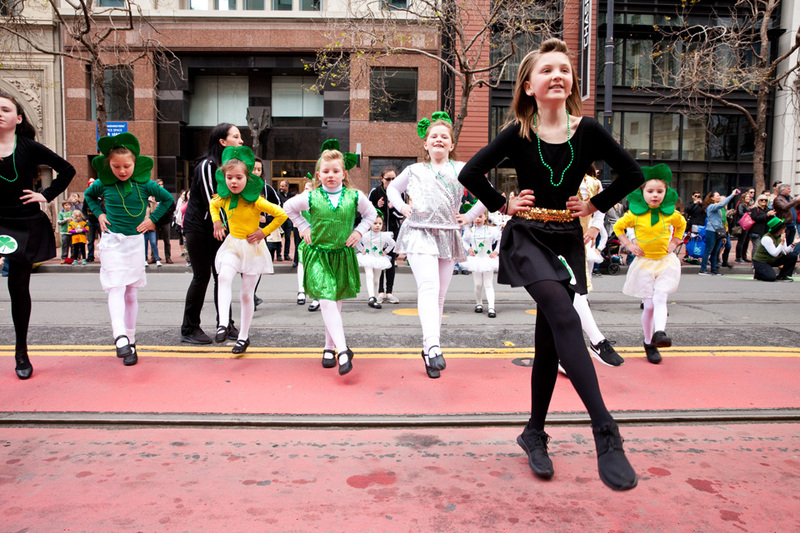 Murphy Irish Dancers of San Francisco. 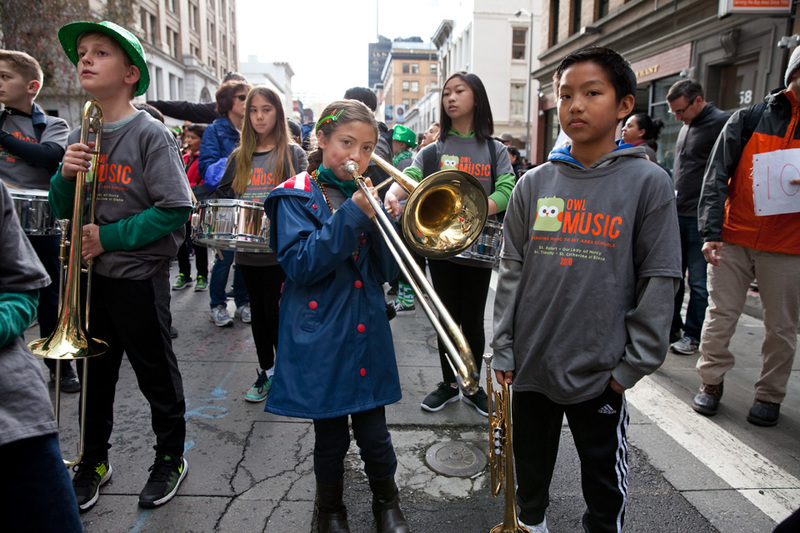 A member of Los Trancos Woods Community Marching Band. 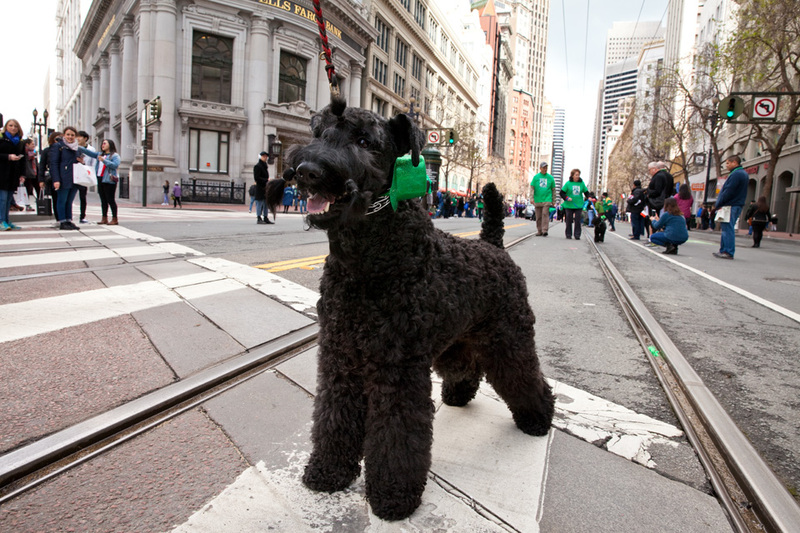 Bosco marched with the Kerry Blue Terrier Club of Northern California. 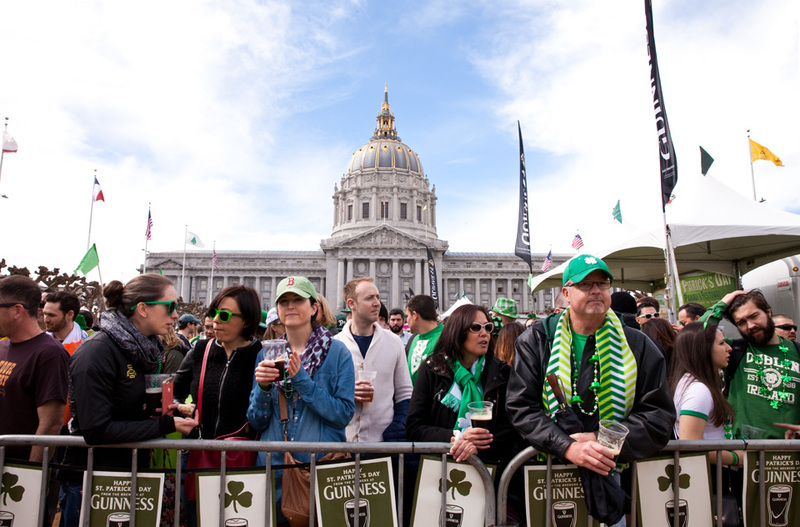 Festival attendees gather in Civic Center Plaza.